The maximum number of points for unified state examination is one hundred units. Initially, however, the work of each graduate is evaluated at the primary points, the maximum number which can range from thirty seven to eighty. The results of the unified state examination in our country for all graduates are assessed on a special scale, the maximum value of which for each exam is one hundred points. These points are a test or final, but directly, after checking and evaluating the work they are not exposed. Initially, the results of the work of each student is evaluated at the primary points, the maximum amount which is from thirty-seven to eighty. To translate raw score in a test, a special procedure called scaling. This procedure involves consideration of the statistical material obtained in the result of carrying out of unified state examination in the current year, which directly affects the total number of test points. What are the primary points for unified state examination? The first test results of the unified state examination in any subject of graduate work is evaluated at the primary points. Every answer in the exam has a certain factor, which depends on the number of points charged for correctly completed task. Direct addition of these points allows to obtain a certain amount of primary points. Their maximum value is different for each subject, therefore, the single largest number of initial points does not exist. In various disciplines, their maximum amount in the range of 37-80 units, and a specific value can be determined when you run the test version of the unified state exam. As primary points are translated to the test? Primary points received by a graduate as the result of passing the unified state examination in a particular discipline, are translated into test scores through the use of a special technique called scaling. Test scores are substantially different from the raw score, these values should not be confused, because the learner is crucial number of test points that are considered in the further admission to an educational institution for the profession. For each subject, the maximum value is shared, is one hundred units. The procedure of scaling involves consideration of statistical data examination and translation of the raw score in a test using the special rules. When solving problems in physics should be remembered that they reflect the physical reality of the world around us. The solution to any task, even very simple, must begin with recognition of the phenomenon and its mental representation. And only after that you can proceed to the solution. Complete your task: jot down the condition that you complete your task pattern.Correctly put to task the question. Then check whether all the specifications in one system (CGS, SI, etc.). In the case where the values are in different systems, we Express them in units of the system that is adopted for the solution of tasks.Consider the content of the tasks , and define a branch of physics to which it relates and which it is necessary to apply the laws. After determining the applicable laws, make a note of all these laws formula. Define? all parameters used in the formula are known. If it turns out that the number of unknowns greater than the number of equations, add equations, which follow from the picture and conditions.Stick to the principle: as in the problem is unknown, and so must be formulas. Solve the system of equations. Solve the task in General, namely, in alphabetic notation. After solving the tasks in General, check the dimension of the obtained values. To this end, in the formula, substitute the numbers and dimensions for those quantities which it contains.The decision is made correctly, if the response corresponds to the dimension of the desired value. Substitute in the formula the numeric values and calculate. Now consider, and then formulate a response.To learn to solve tasks on physics, solve them daily. After such training, each subsequent task will be accomplished faster and faster. Acquired the ability to solve tasks in physics will be useful not only in school, but when studying in Universities. Delivery of Unified State Exam in physics at the "perfect" place in any technical UNIVERSITY. Of course the unified state exam in physics is the easiest way to do on a budget. 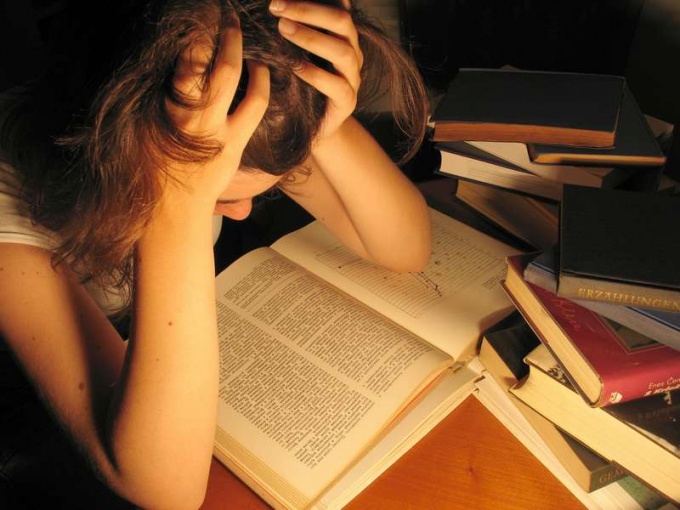 But how do you prepare for the exam, because physics - a subject difficult, scaring most of the students. First you need to analyze the structure of the control and measuring materials (KIMS) in physics. It is that the test is divided into three parts. The first part is a multiple choice answer from the options, the second recording the response in a form field in a short form. Well, the third part, involving the solution of problems with a full record. To solve the first part you need to learn basic formulas of physics (two or three from each section). For example, in mechanics it is Newton's laws and the law of uniformly accelerated motion; for electricity - Ohm's law, Joule-Lenz. You also need to know the basic physical quantities and their dimension. Knowledge of basic formulas and basic concepts enough to solve part A. For the solution part In need to be able to solve simple tasks in which you need to obtain the design formula in two to three additional. Learn, as expressed by some physical quantity through the other. When solving a problem, first write down the formula which yields the resulting value. Then write down the formula for values matching the condition. Then substitute these formulas in the first order by substituting the numeric values to calculate results. Perform calculations on a calculator, and if needed, swipe rounding with precision. To solve part C would require a similar approach, but with one important difference - you need to record not only the numeric answer but also the solution. First make a pattern for the correct pattern Commission added points, moreover, it will help you understand the intricacies of the task. Then write down the formulas that you know (similar to the previous paragraph). It is advisable to choose a task from the section of physics in which you understand best. It is very important to sign, why are you using a particular formula. Only when the detailed solution you will receive a full score. In the solution part it is best to use a cliché: "the figure shows that...", "of these formulas." The unified state exam (EGE) is centrally held in Russia exam in secondary schools — lyceums and schools. 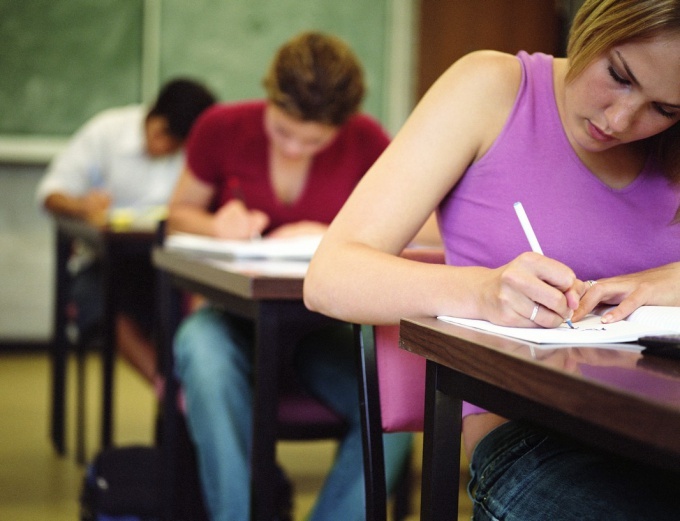 The exam is considered a final examination from school and entrance examination to colleges and universities. Throughout the Russian Federation while conducting such exam uses the same type of tasks and uniform methods for exposure assessments of the quality of the work. As you know, each task performed during the exam, will be assessed a certain number of points. During the processing of exam results at the first stage calculates a primary score – the simple sum of all points earned for correctly completed tasks. Next, you need to translate the primary points in the test. This is used quite a sophisticated technique. For each subject installed two normative values raw score – the so-called boundary values. The first boundary value is the minimum number of points that you need to press so the exam is recognized successfully commissioned. The second limit value is higher. Those who have a raw score equal to the second boundary value or exceeds it, are characterized as graduates with a high level of knowledge. For example, in 2011, the first boundary in the Russian language – 17, the second boundary value is 50. Further, among those who passed the exam in the previous year choose two, whose raw score closest to the first boundary value (one – a little less than the primary score and the second a little more). Calculate the arithmetic average of these two numbers, so get your test score the previous year, the corresponding test score of the year. Minimum initial score is assigned the value 0, the maximum of primary points is set to 100. Based on the scale of intermediate initial points are translated to the test. For example, if the minimum raw score of 17 and a maximum raw score of 50, the result of the described calculation procedure 17 points will be assigned the value 0, and 50 points will correspond to 100. The resulting scale used to translate individual raw score in the test. In our example, those who scored 17 and less primary points the result of the scaling test will receive 0 points. Those who scored 50 or more raw score will receive 100 test points. Respectively, scored 36 points will receive 50 points, etc. For conversion raw score in the test uses a special complex formula that allows to calculate with accuracy to hundredths. The obtained results are rounded to the nearest whole number. This number is the final outcome of the examination results. With the exam now faces every graduate of the school, and the parents of the graduates. While waiting for exam results they often have questions: what is the primary and test scoresas the primary score to count on one-hundred units scale scale. Graduates should know that the result of unified state examination is not the primary point, and test. He will be entered in the result document required for admission to higher education, the Certificate about results of unified state examination". How to calculate raw score, students know about. For example, in the work on the Russian language in the block And for each correctly completed task exhibited one point, in block B of the task from the first to the seventh, too, at one point, but for the B8 task you can immediately get four points. In block C the graduate can count on a number of points from 1 to 23. In the end, the primary score on the Russian language can be sixty four. Accordingly, sixty-four primary points are equal to one hundred test points. But how to translate in a test score, such as forty primary? Every year during summarizing the results of certification of students heads of Department of the scaling and statistics of the Federal testing centre of the scoring and draw up a scale, which make the primary and test scores. Each year it may be different. At the present time obtained in the exam scores in the assessment are not translated. It is necessary to overcome only a minimal threshold to obtain the certificate. As an example we can consider the translation of the raw score in a test in physics in 2011. We can see that the test and the raw score varies each year. If someone wants to delve into complex calculations, keep in mind that the basis of transfer points of the exam – "polytomous Rasch model". Pay attention to the formula. K is the number of questions in the task (or the total number of raw score). The level of knowledge of the pupil is determined only by the number of correctly completed tasks (from 0 to K, only K+1 gradations) and not depend on them. Whatever may be said about the pros and cons of the exam, but nevertheless it is the reality of our time, with whom to live. If you have already passed the exam, you probably know how hard it is to wait for the results and it would be desirable at this time to try to understand what the scores should count. But how to calculate those points? Understand that during the counting of points for correctly completed tasks, you are not dealing with the points that you entered in the certificate of the results of the exam and the primary. They are counted for each subject in different ways. For example, in the Russian language exposed by one point for each correctly completed task in part A, where of the four possible options you have to choose one. In this part of thirty jobs. This way you will be able to get thirty raw score for part A. Next to the primary score add scores for part b, where the tasks from the first to the seventh you will receive one point. But for correctly completed task B8 you can be added to the primary score from one to four. It all depends on how many correct artistic and expressive means in the text you could identify. But keep in mind that in this part you will need to themselves to formulate the correct answer. Only part you can get eleven primary points. But for the part With you can earn from twenty-three points, which are set for the content and literacy in the writing-argument, which you write. Thus, the maximum raw score on the exam on the Russian language equal to sixty four. You may ask: "But where, then, do those who gets one hundred points on the exam?" 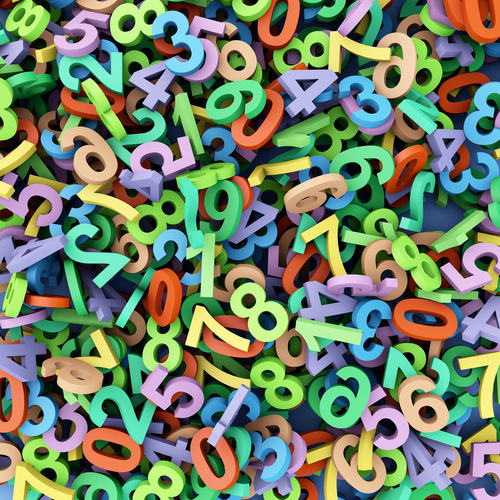 But it was about sixty-four primary points that are the result of complex mathematical calculations will translate at the one-hundred units scale scale to test score. These points are considered the results of the exam required for admission to higher education. These calculations are very complex. We need only say that the methodology of scaling is "polytomous Rasch model". Each year, the Commission on scaling calculates the minimum or, as some say, a passing score on the training subject. And every year it's different. It all depends on the General level of results of the exam. For example, in the Russian language in 2010, the passing threshold was 37 points. And in 2011 36. Translation of the primary score in your test also each year is different. So, in 2007 for 50 raw score you can get 69 test. In 2011 as well. It was a good score. But in 2009, 39 points was the minimum threshold, i.e., very low result. Keep in mind that the scores obtained on the exam in the rating is not transferred. In the certificate you will put in the description that you have learned the high school course. Until 2009, the results of the exam affect the final grade in the certificate, so the scores were translated into grades. Now exam scores in evaluations does not translate, but in 2008, it is possible to determine the grade for the score achieved on the exam. Exam scores in the assessment on a scale can be translated in the following subjects. Math. "Excellent" was set for those who got more than 72 points. From 54 to 71 points – the rating "4". A satisfactory record for points from 38 to 53. While 37 points is written by the losers. Russian language. Rating "5" is the result of the exam more than 67 points, good - from 50 to 66, "satisfactory" - from 31 to 49, and "unsatisfactory" to 30 points. Literature. "A" was estimated from the results of the 67 points on four - from 52 to 66, on three - from 37 to 51, for "two" - to 36. Foreign languages. Excellent knowledge of English, German, French, Spanish languages was required to score 84 points, the evaluation "4" - from 59 to 83 for 3 is from 31 to 58, and the rating "2" was set for those who scored up to 30 points. Biology. Graduates and students who wrote the exam on this subject from 67 points were assessed as "excellent", a rating of "4" were intended to have written from 50 to 66 points, 3 is from 32 to 49, "2" - up to 31 points. Social studies. The result of the exam to 61 points was evaluated as "excellent", 48 to 60 – well, from 34 to 47 – "satisfactory" and 33 points – "unsatisfactory". Chemistry. In order to show the excellent knowledge of chemical formulas, the periodic table and the decision of the tasks required to score 67 points, the evaluation "4" - from 50 to 66, for "3" - from 31 to 49 and "2" - up to 30 points. Physics. "Five" - 70 points, four - from 56 to 69, three - from 41 to 55, two to 40. Geography. The highest rating is suitable for the result of the exam from 68 points, good - from 52 to 67, "satisfactory" - from 36 to 51 points, and "unsatisfactory" to 35. History. 70 points is "excellent", a score between 59 and 69 points, can boast of the b, from 30 to 58 is "three" and up to 29 points – "2". Informatics. Excellent writing with the result of the exam from 78 points, b – 67 to 77, Threeness from 37 to 66 and losers to 36 points. The transfer of points of unified state examination in the evaluation is required only to represent their knowledge in a more convenient way – a five-point scale, which are used by students and teachers. Do not be upset, if in any subject obtained low rating, because the University requires a total score on all exams. Not only teachers but also students should know how to assess the exam on the Russian language. This will help them to intelligently approach each task, to understand what you should pay special attention during the preparation and result in a high score. First of all, you must understand that the total score is the sum of the points for the test part (unit a, unit b), and for essay-argument (unit). Block A you will need to choose one correct answer from four options. For each correctly completed task you can get one score. In this test you will be asked to complete thirty tasks. Therefore, the maximum possible score at this stage of work may be thirty primary points. Completing tasks in a block, you will need to themselves to formulate the correct answer (specify quotation number, or the number of grammatical basics, record a word or phrase, etc.). All you need to perform eight tasks. However, keep in mind that for the first seven tasks will be billed at one point, but for eighth - from one to four. In it you will need to determine the artistic-expressive means used in the text. The text you were working, doing the job block In, you will need to write an essay-argument. The maximum number of points per piece With twenty - three. But note that the essay should be not less than one hundred and fifty words. Otherwise, you will receive one point for each of the criteria. 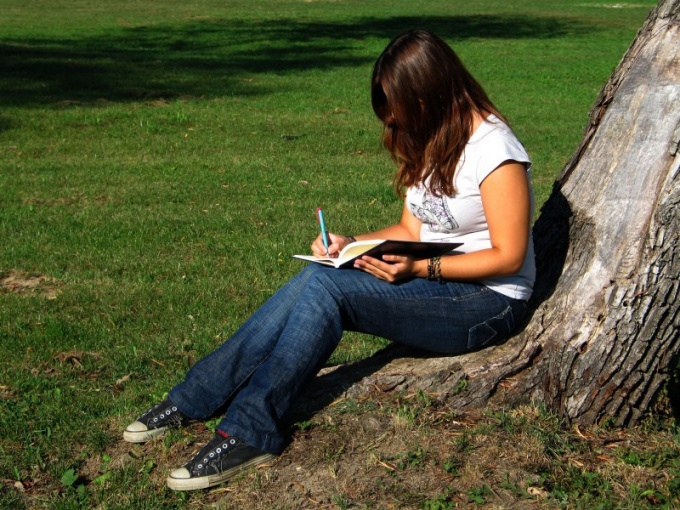 Evaluating an essay-the arguments put up one point for correctly formulated problem, one or two points for comment, one more point you will earn for the clear position of the author. Next set at two points for expressive speech, the sequence and connectivity of parts of the text. Also assessed spelling and punctuation literacy. For this skill you can add to a General primary marks for the three points, if you don't make any mistakes. Pay attention to grammar and speech, as this also affects the results of your work. Thus, you can get the maximum raw score, equal to sixty four. But he later still will transfer at a certain scale to test score. Such a scale of transfer, as a rule, voiced by Rosobrnadzor in three or four days after the exam. This score will be brought to you in a certificate of the results of the exam. 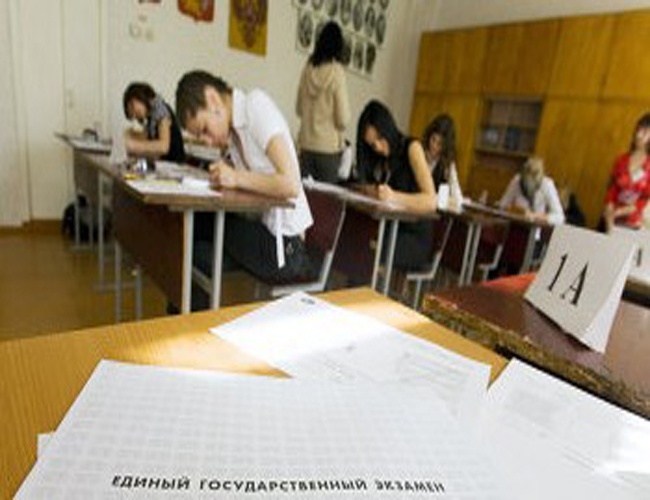 The unified state exam (EGE) was required for admission to Russian universities. Now it needs to pass not only yesterday's schoolboys, but also graduates of secondary special educational institutions (Colleges), and just people. graduated from high school a few years ago. And after the exam applicants in the next few days anxiously waiting for the results of this important test. So how can you know whether you've received the required points? Check to see if you can find the exam results on the Internet. To do this, find the website of the Regional centre of information processing (rtsoi) for your accommodation. There will be given information whether the exam results online. 10 days after the exam go to the website of your rcoi. Fill out your personal information - surname, name and patronymic, a series and passport number. If the data is correct, you will receive the following information: the name of the item that you eksamenopgaves, date of test, initial scores on the test, and the maximum number of points that you can get (raw score 60), data about how many students were equal to or large than you scores, and finally your scores on the exam at stoballnoy scale. The last figure is the most important - it determines the applicant's place in the ranking of applicants for a particular course. If rcai your region does not provide information on the Internet, find out the results differently. If you are a student, the results a few days after the test will be available in your school. If you graduate College or just graduated over a year ago, find out the results in the institution where you took the exam. Some universities, which is one of the stages of testing, also placed the results online on their websites. The list passed the exam with scores can be free, and you can compare your scores with the scores of other students to better understand their chances of admission in desired University. Wanting to know the results of the unified exam on the Internet, be aware of the security of your personal data. Never enter a room of your passport on questionable sites, use only the official portals of the centers of information processing. The unified state exam (EGE) in physics pass, not all high school graduates, but only those who are going to enter higher educational institution in a technical specialty. According to statistics, this academic discipline selects approximately one-fifth of all eleventh-graders. Internet access, certificate on results of unified state examination. 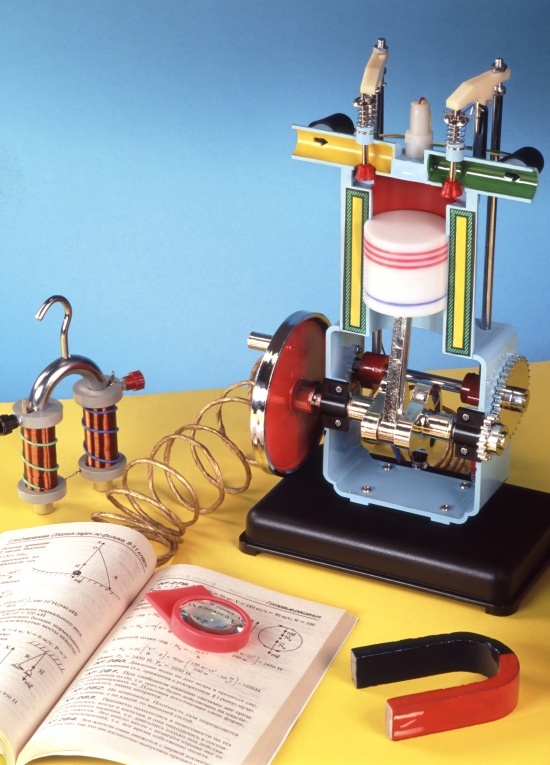 Determine the need for passing the unified state exam in physics, which is quite complicated. Approximately 5-7% of those who completed it, failed. If you decide to take physics, check your knowledge by using sample test exam. Or complete the online test. Rate the level of their own preparation for the exam in physics. Search the Internet on reputable sites various options mock tests for different years and solve them. Although the structure of the test in physics is slightly different, but not globally. For example, in 2012, modified the topics of the questions and criteria of assessment tasks. However, the total number of jobs and their type saved. There are still basic tasks (part a – 25) and high (part b – 4) complexity, and section C, 6 tasks which require a detailed answer. However, the last part time to start, only two-thirds of all dealer. Find out the results of the exam for free through the Internet. Enter into the search form on the dedicated website your name, surname and passport data. Or contact for information at the point of examination. The results should be available no later than 3 working days after the announcement of the minimum points that are installed within 4 days after the exam. 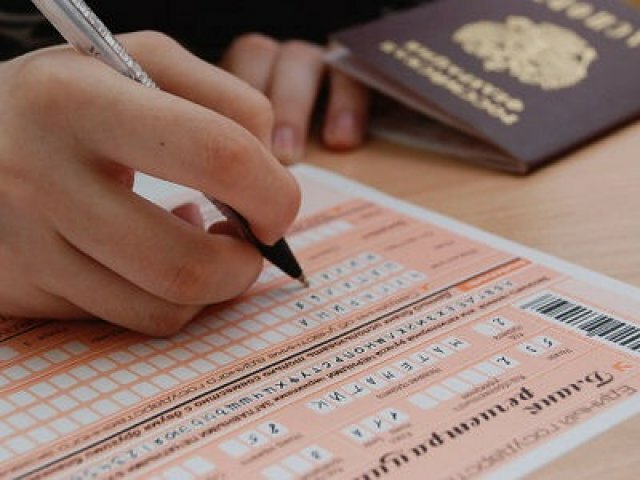 In remote regions the results of the exam can come 1-2 days later. Compare your result of the exam in physics with a relatively low average outcome. In past years it was equal to about 51. The minimum score last year was 34. If you received points only slightly above the average, expect to enroll in not the most prestigious faculties. If you score much more, get ready to learn in luxury field. If the result of the exam in physics not crossed the mark of 32-34 points, perhaps you should seek another profession. If you are unsure of assignments and believe that the final result calculated incorrectly, do not be afraid to appeal. Some physical problems have multiple correct solutions. It is therefore possible discrepancy in the interpretation of findings. About a third of all appeals are reviewed. Not so long ago introduced in Russia the Unified State Exam is actually a very subjective test of knowledge. However, the test format, there are also pluses – the students are much easier to prepare for difficult subjects, such as physics. Do not purchase all the books "prepare for exam" which see. There is a formal series of working notebooks of A4 size (sheet size is "normal" office paper for printing), which are published every year with the subtitle "typical tasks". In these workshops you'll find the task completely similar to the real, and won't waste time learning unnecessary material. Decide what result you need. Try not to jump above the head: if the necessary "minimum passing", then do not waste time on tasks of part C, it is better to learn one simple task. On the contrary, if the body seems light, more seriously engage "tasks with a free response," because they bring much more points. Accordingly behave in the exam: most of the time dedicate most difficult, but available for questions. Review one option with the teacher. Each job number associated with some part of physics – and if the very formulation of the question on the exam may be different, the theme remains the same. So, first of all, ask the teacher to specify the field of physics that you need to know to solve each room. Decide viewed option. It is extremely important that the teacher not thoughtlessly showed the finished formula, and directed the course of your thoughts. Formulas you can always get out of the Cribs, you should learn how to think and understand the task. Divide the proposed tasks "in half". For example, if the workbook (described in the first paragraph) offers 30 options to test, then select the first 15. Take each job (e.g., B1) and parasite it 15 times – this will help "fill the hand" and to fix in mind the logic of action. Like worth repeating with each exercise. The remaining half of the tests pass as a whole. Try to limit yourself in time and did not use any hints in order to remember the need to address laws and theorems, you need to constantly remember them and not write books. The unified state exam in physics, as we know, is standard procedure and has a standard set of tasks. The type of each job clearly defined in advance, so that preparation for exam is not too difficult. Textbooks on physics, the textbook algebra and fundamentals of analysis, a textbook on geometry, ballpoint pen, pencil, notebook checks, computer with Internet connection. Define for yourself what grade you are applying, passing the exam in physics. This fact affects the difficulty of the exam and, consequently, the duration of the training. As you know, the whole set of tasks in the exam in physics is divided into three main parts, which differ from each other the complexity of the implementation. The first part is a more than twenty test questions, mostly concerning the theoretical information. Some solved this part of the job will allow you to get a satisfactory grade on the exam. The second part of the exam in physics includes tasks brief the type of definite answer, self-explanatory. Thus, the answer to the second part should be, generally some number. If you are applying for a good grade, it will be necessary to solve all tasks from the first part and all the tasks of the second part. Well for an exam you will need to keep more and multiple tasks of the third part, the solution of which is written in expanded form. Go to the website of the Federal Institute of pedagogical measurements. In the menu "use" includes "Demo, specification, codificatory", open it. There you will find demos of the control and measuring materials in recent years. Among them are versions of the works on physics. Download all of these works. Keep a separate notebook to prepare for the exam in physics. Spend all the decisions in this notebook. Try to write down all in detail, and carefully, so you can repeatedly apply to their own decisions. Study the theoretical material on physics and mathematics as necessary. Doesn't make much sense, and most importantly, and time to first learn all the theory and only then proceed to the solution. The decision task of the first part will make you to understand vector algebra and laws of mechanics, to learn the basic fundamentals of electrodynamics, remember the main formula of molecular physics and kinetics. Turning to the second part, you will already savvy in the field of minimal theoretical knowledge. Go to the third part, when you are confident in the ease of solution of the first two parts. For the solution of complex problems, which are usually combined, you need a good mathematical preparation. Such training implies a good knowledge of integral and differential calculus, as well as three-dimensional vector algebra and geometry. Often show their work in preparing for the exam my teacher for physics in high school. Criticism and tips never hurts.